Things have changed on the ice for the Toronto Maple Leafs since I was a kid. Back then it was Doug Gilmour and Wendel Clark that would bring the crowd to its feet at Maple Leaf Gardens. 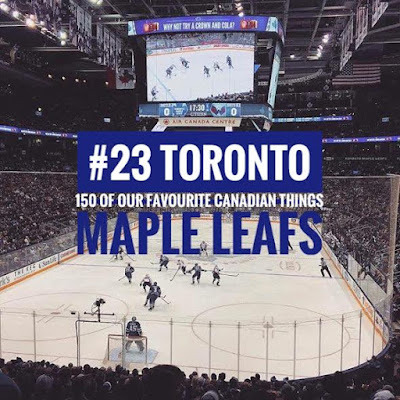 Now we are in a new age at the Air Canada Centre where the crowd swoons over the young talent with the likes of Auston Matthews, Mitchell Marner and William Nylander. You can guarantee that this years playoff berth has fans excited for the future. Go Leafs Go!